One of my best and closest friends, who is a sister to me and I to her, lost her mom, Helen French Garrison, to dementia on Sunday, January, 29, 2017. While my friend shares many traits and characteristics with her dad, she shares just as many with her mom, including, to name a few, her mom’s Southern charm, her grace, her kindness, and her generosity. Helen Garrison was a beautiful lady inside and out. I’m thankful that both Mama and I had the honor of calling her both family and friend. In tribute to Helen, and with the family’s permission, this profile in dementia is written by my friend about her mom and her dad, who faithfully and lovingly kept his in-sickness-and-in-health promise as Helen’s primary caregiver during her long journey through dementia, and their lives together as husband and wife. 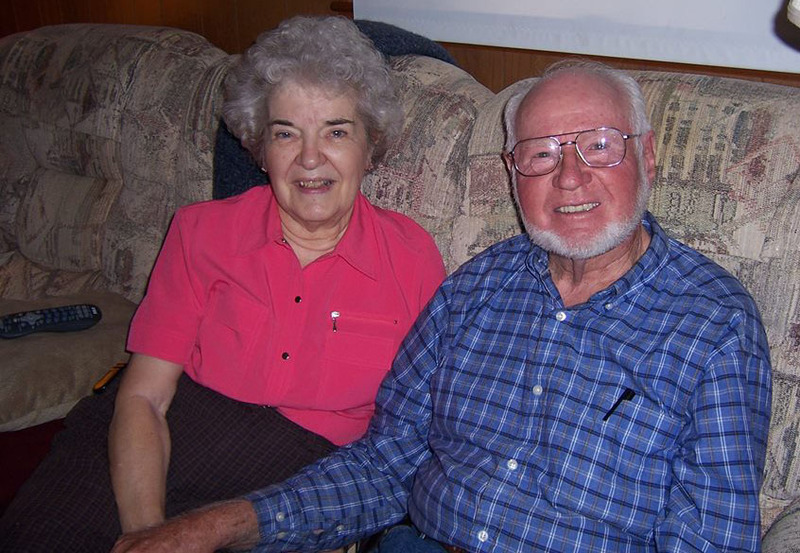 “I’ve always been so thankful for the blessing of my devoted, loving, godly parents. And this week I’m thankful to have been with them for the final days of my mother’s life. In the past few days my dad has been recalling and sharing so many stories and memories of their life together. They were a very special couple who worked together to keep their promise of for better or worse, til death. Together they brought up two children and are the grandparents of six and great grandparents of nine. Now my dad is trying to figure out where to go from here. After 64 ½ years of marriage, he has to change his mindset from “we” to “I” – quite a challenge for him at age 87. My mother was born February 20, 1930 in Bethlehem, Pennsylvania. At the age of twelve, she moved with her parents and sister Blondie to Sheffield, Alabama where she finished her schooling. In 1952 she graduated with every honor from Florence State Teachers College, now the University of North Alabama, with a teaching degree. 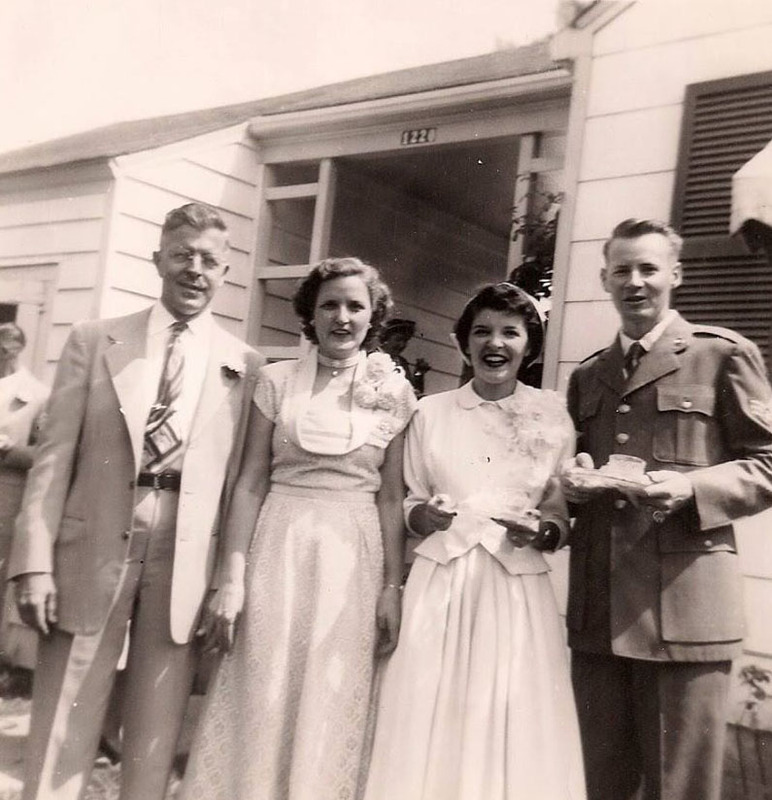 Three months later she married Lloyd Garrison, and they moved to Cheyenne, Wyoming where he was stationed at the Air Force Base. When he was discharged, they returned home to Alabama where my brother and I grew up. Mother taught elementary school for decades and was much loved by her students and their parents. 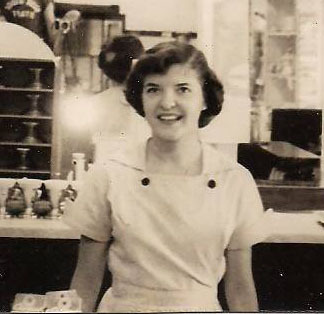 After retiring from teaching, she ran the office for the very busy Garrison Electric Company which my dad started. She was energetic and full of life, love, and joy which she radiated to her family, students and friends. Also, she was an amazing hostess and cook, and she thrived on having groups of friends and family over for meals and fun. She hosted many family Thanksgiving, Mother’s and Father’s Day and anniversary events! For our pre-wedding dinner for family and wedding party members, she killed, skinned, and cooked a dozen chickens in addition to all the side dishes and dessert! Interestingly, my mother’s many strengths and talents were my dad’s growth or challenge areas, and conversely, my dad’s many outstanding talents were my mother’s growth areas. They relied on each other, and together they made the complete package! Of course this is a bittersweet time for our family — the bitterness of the loss and void, and the sweetness that finally Mother is at peace, no longer struggling and suffering. We are focusing on the many cherished memories of life with such an outstanding loving and beautiful lady. And we rely on our faith in the promises of God that we will see her again.